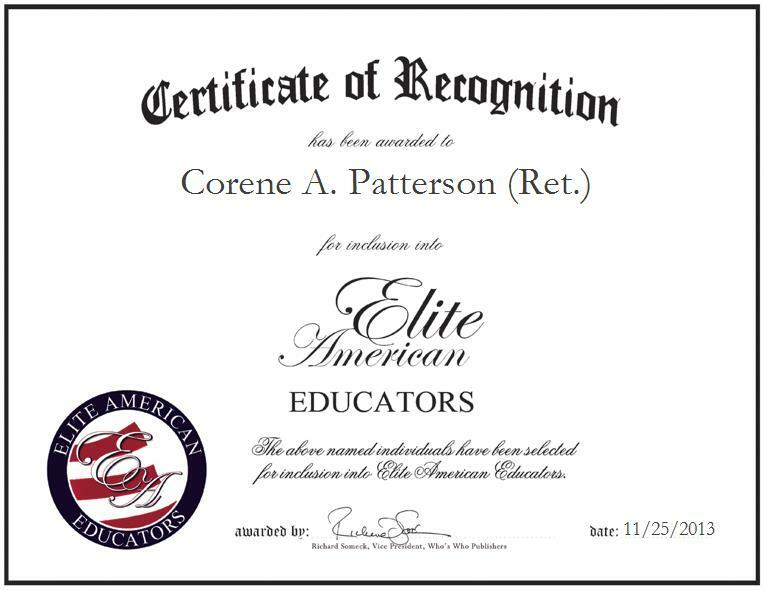 Passionate about education and teaching the world’s future leaders, Corene Patterson dedicated her career to academia. For 24 years, she served as a teacher and motivated students to fulfill their potential. Ms. Patterson is retired, but spent her last years working as a special educator at Shelby County Schools in Tennessee. Throughout her career, Ms. Patterson learned the value of patience and the importance of a well-rounded education for all students. She reveled in the opportunity to motivate and enlighten others, as well as develop curriculum that promoted reading and writing. Outside of the education environment, Ms. Patterson continues to teach through serving as an Ordained Minister. She has published a book entitled “My Spiritual Resume, Will It Get Me To Heaven?” The book can be purchased through amazon.com.